Funko announced the Breaking Bad series to join their Pop! line earlier this month, which includes 10 figures in the first series. It would only be a matter of time that we would get to see Breaking Bad exclusives and Entertainment Earth has a couple of amazing exclusives! This Walter White Pop! Vinyl Figure in Green Cook Suit is definitely cookin'! This Walter White Cook Pop! 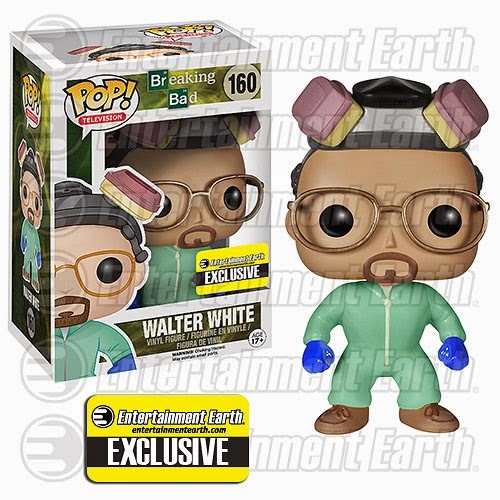 Vinyl Figure features Walter White in his green cooking hazmat suit, blue gloves, and his headgear. This 3 3/4-inch tall Walter White Green Cook Suit Pop! Vinyl Figure comes in a window box. Yeah! Science! Walter White's partner in crime and former student, Jesse Pinkman is presented here in his green cooking hazmat outfit, blue gloves and headgear. 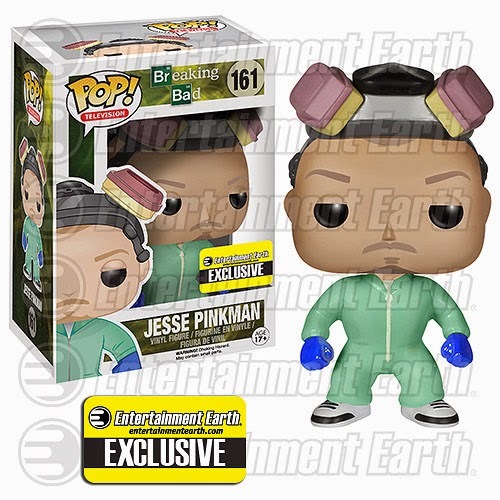 The Breaking Bad Jesse Pinkman Green Cook Suit Pop! Vinyl Figure is a must have for any fan of Breaking Bad! Both the Funko Pop! Breaking Bad Walter White Green Cook Suit Exclusive and Jesse Pinkman Green Cook Suit Exclusive are now available for pre-order at Entertainment Earth.